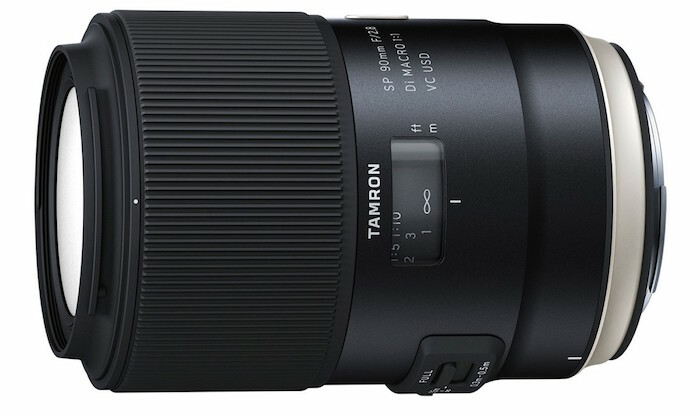 Tamron has announced a pair of new lenses – the SP 85mm f/1.8 Di VC USD and the SP 90mm f/2.8 Di VC USD 1:1 Macro. 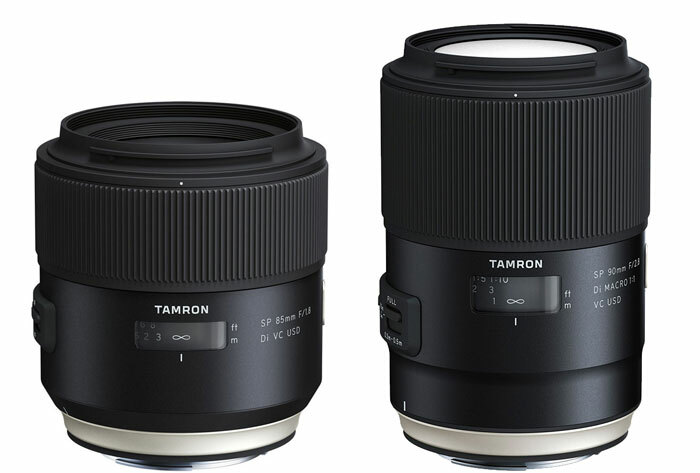 The new Tamron SP line now includes four prime lenses ranging from 35mm up to 90mm. The new 85mm f/1.8 Di VC USD is the first lens of its kind where we see image stabilization (e.g., Tamron’s Vibration Compensation) in such a fast 85mm lens. It also features Low Dispersion and Extra Low Dispersion elements to combat color fringing and produce sharper images. Two highly developed lens coating technologies, eBAND (Extended Bandwidth & Angular-Dependency) which uses nanotechnology, and BBAR (Broad-Band Anti-Reflection), combine to increase light transmission and to reduce flare and ghosting to imperceptible levels. 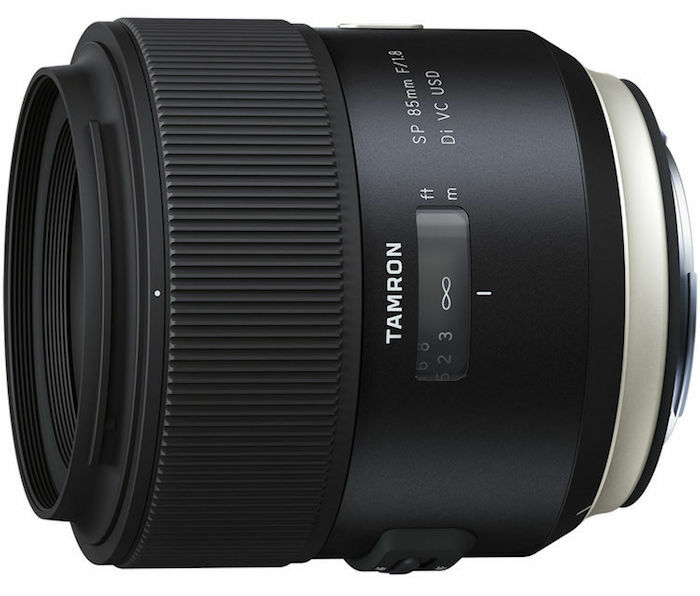 Announced alongside the new 85mm lens, the Tamron SP 90mm f/2.8 Di VC USD 1:1 Macro lens builds on the optical design of its predecessor with the addition of a LD element and two XLD elements. The VC system has also been updated and now offers X-Y axis shift for up to 3.5 stops of shake reduction.In unison with a gyro sensor, the accelerometer detects and enables motion compensation for camera shake, providing maximum efficiency in image stabilization optimized for all distance ranges from infinity to macro. Focusing has also been improved courtesy of a focus limiter switch. 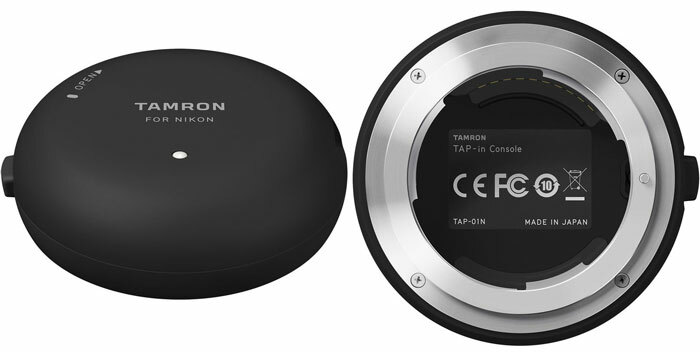 Both lenses are compatible with Tamron’s new TAP-in Console announced alongside them, which provides user control over customizable functions and firmware updates. The lenses will be available for Canon, Nikon and Sony A-Mounts (no VC in the Sony versions). No word yet on pricing but the Canon and Nikon versions should be available in April 2016. Over the years I’ve owned three versions of Tamron’s excellent 90mm macro lens, this one looks to best the others. Interestingly, at this moment it appears to be 100 bucks cheaper than the last older version of the lens! Like the new understated styling of the primes that Tammy is now offering too. Optically, their 90mm macro has always been quite good, over decades now, with better bokeh than the Nikkor offerings in my opinion. Hoping the build quality has improved on these prime lines also though.